When you're ready to open your windows to Spring weather, Hy-Lite is there to help. 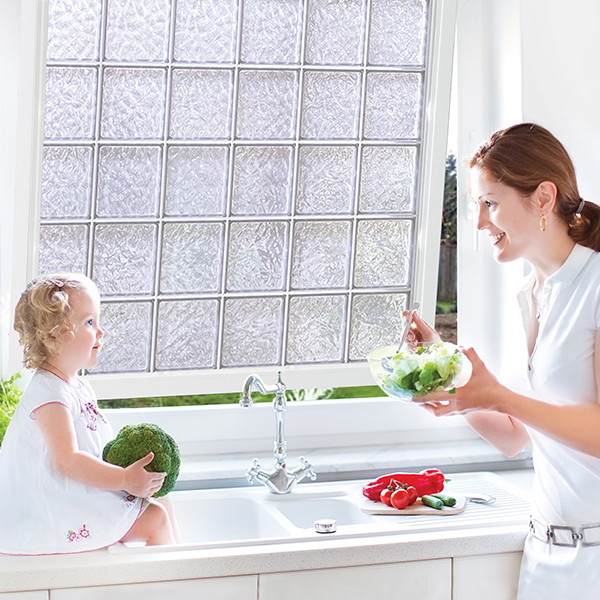 Many people are surprised that Hy-Lite offers operable acrylic block windows. Don't be. Our sturdy frames make it easy for us to manufacture awning, casement, single hung, slider and basement hopper windows. Operable acrylic block windows give you twice the benefits built into one window. You get the privacy and style you crave for the home, plus the easy ability to control the flow of air into different rooms. And, because there are no dangling cords involved with shades or window treatments, having operable block windows is also a benefit when there are children in the home. From our large 54" x 54" awning window to our smallest 18" x 18" casement window, Hy-Lite offers window solutions to fit your needs. Ask us about our Wave, Glacier, Cross Rib and Green Wave block options that give you the ability to customize your windows. Several of our windows even have the SunBlockTM Plus block option for the ultimate in energy efficiency. When you're ready to let Spring breezes into your home in a stylish way ... call Hy-Lite!